Ethics and Religion: January 17, 2019: Column 1952: Abortion: Funded by Taxpayers? Should abortions be funded by taxpayers? On Friday tens of thousands of opponents of abortion will participate in the March for Life in Washington demanding that protection of the unborn be front and center. "House leadership may have changed, but the GOP is counting on the fact that American opinion has not," Tony Perkins, President of the Family Research Council, will say. "Abortion isn't health care, and it is time our laws reflected that." If the marchers are successful, voters from both parties will cheer. "By a double-digit margin, a majority of all Americans oppose any taxpayer funding of abortion" (54% to 39%), says Sen. James Lankford (R-OK). That's great news for Senators Lankford, Roger Wicker (R-MS) and Pat Roberts (R-KS) who just introduced S. 109, the "No Taxpayer Funding for Abortion Act." "Regardless of American's beliefs on the issue of life, one thing remains clear: the Federal Government does not need to help fund abortions," Lankford said. "The No Taxpayer Funding for Abortion Act" ensures that Americans who strongly disagree with abortions are not forced to pay for them with their federal tax dollars. "We must continue to take steps to move our nation and our culture closer to holding all human beings sacred regardless of a person's size or degree of dependency. This bill brings us closer to that goal," Lankford argued. However, in the 2018 election, Democrats seized control of the House. They don't think abortion should be rare. They argue it should be free! That's the new House majority's cry on the 46th anniversary of the deadliest U.S. Supreme Court's ruling in history, the Roe v. Wade decision of the court legalizing abortion. At a press conference announcing the "Each Woman Act" the House Pro-Choice Caucus declared a vow to repeal the ban-on-federal-funding of abortions in the Hyde Amendment, passed by Congress for more than three decades. However, the Democrats' demand for abortion-on-demand is in conflict with the opinions of most Americans. The annual Marist Poll reported that voters believe in regulating and reducing abortion - not subsidizing it. 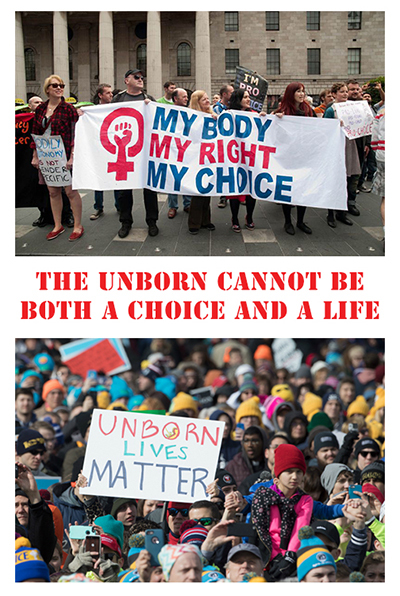 Regardless of whether they're "pro-choice" or "pro-life," Carl Anderson of the Knights of Columbus, explains, "The majority of Americans in both parties - support legal restrictions on abortion. Two-thirds of American want Roe revisited to allow for state regulation of abortion or to ban it altogether." Obviously, that conflicts with House Democrats who demand that taxpayers bankroll abortion-on-demand. "We cannot dictate from the halls of Congress what the best treatment is for any woman," argues Rep. Nita Lowey (D-NY). "That should be left to women." The Senate-sponsored "No Taxpayer Funding for Abortion Act" clearly conflicts with the House-sponsored "Each Woman Act." Neither will win a majority in the other house. In its latest annual report, Planned Parenthood boasts about performing 321,000 abortions, while receiving a half billion dollars a year from the Federal Government. Technically, the federal funding does not pay for abortions. That is blocked each year by the Hyde Amendment. The money Is supposed to be used to pay for non-abortion services such as having an ultrasound to check on a woman's pregnancy, cancer screening, contraception, testing and treatment. Clearly, however, this funding enables Planned Parenthood to charge less for abortions. A woman coming to a Planned Parenthood abortion clinic may take advantage of such services, but she is primarily interested in receiving the abortion - which is not federally subsidized, due to the Hyde Amendment. She must pay for it herself, or have her insurance company do so. However, the half billion of federal funding clearly subsidizes abortion providers. "Hardworking taxpayers do not want to subsidize the business of abortion providers and entities such as Planned Parenthood," asserts newly elected Senator Marsha Blackburn (R-TN). She and her former House colleague Virginia Foxx (R-NC) have introduced a bill, the "Title X Abortion Provider Prohibition Act" which states that any business that takes innocent unborn life wouldn't be eligible for "federal family planning" funds. The fact their bill is sponsored by a Congresswoman and a U.S. Senator holds out a slim hope for future passage by both houses. The commitment of the Democratic House and the Republican Senate to opposite positions on the issue appears to doom its future. However, I urge readers to write their Member of Congress and U.S. Senators encouraging them to vote for a bill to reduce America's abortions. Is that possible? There were 1.4 million abortions in 1990 but only 926,000 in 2014, the latest year with data.